This summer I took some time to take some Professional Development courses in my district, as well as, did some of my own research online. Many of the ideas were the same, get each of the students involved and make them accountable. In the past I believed that putting students in groups would involve them, and assigning them a "job" would do it. I definitely love having students work together in groups, but as I assessed the situation last year, I noticed that some of my students would just sit there and allow another student to do the job. I knew I had to change something, and I think I may have found my answer. The question is not where did I find the answer, but from whom? It was from Hope King, a teacher who works at the Ron Clark Academy. 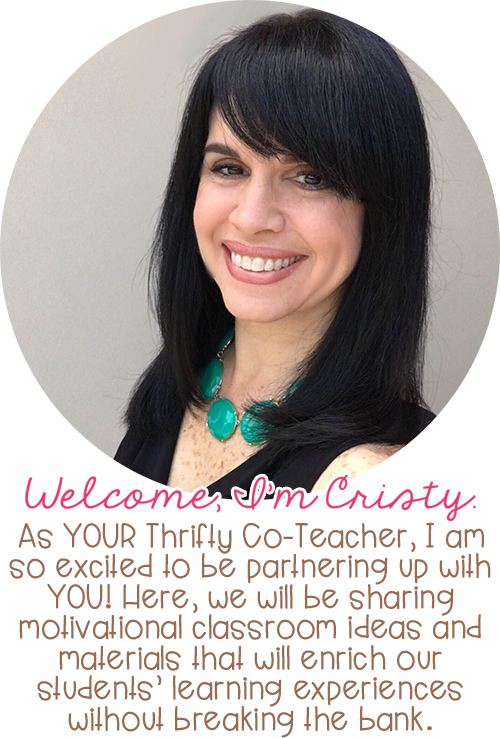 I watched her on Periscope a few times and have to tell you, her enthusiasm is contagious, and her ideas are brilliant! She did a scope on a giant Jenga game. And when I say giant, I mean GIANT. She also stated how in the classroom all students should be engaged at all moments. These two little "show and tell" ideas of hers really got my wheels turning, and as Oprah would say, I had an "AH-HA" moment! Kids naturally love to play games, well at least much more than working from a workbook. So I thought to myself I need to incorporate as many game opportunities in my classroom as possible. Then my planning began. Now, I haven't thought up an excessive amount of game opportunities (yet), but I am incorporating one suggested by Hope King, and one I came up with. The first game I will be incorporating is a type of "Headbandz" game. Collaborative conversations are so important in class, but if they are not done correctly, they can become unproductive quickly. Therefore, on the first or second day of school, I plan to introduce the collaborative conversation rules to my students. How do I plan on doing it? Well, I'll start off by telling you that I WON'T be giving a 15 minute lecture on the rules. I WILL be introducing the rules to the students quickly and then they will be paired with a partner. I will then give the pair of students a set of cards that have a different rule written on each of them. 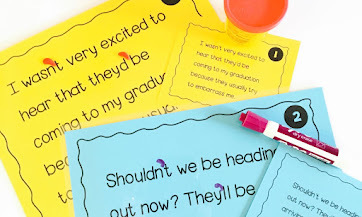 The students will place the pile of cards face down on their desk, grab one card without looking at it, and place it in a headband facing their partner. Students will then take turns asking each other yes and no questions to try to figure out what the rule is. This will engage the students, as well as, help them remember the rules for collaborative conversations in our class. The next game, is Tic Tac Toe. I have not connected it to a specific lesson in my class yet, but I will definitely be incorporating it quickly since it can be used in such a variety of ways. So, how do I plan to use this game in my class to help students learn? Well, first I will set up my students in pairs and give them quick response boards. (You can read more about my inexpensive, yet quite effective, quick response boards HERE.) 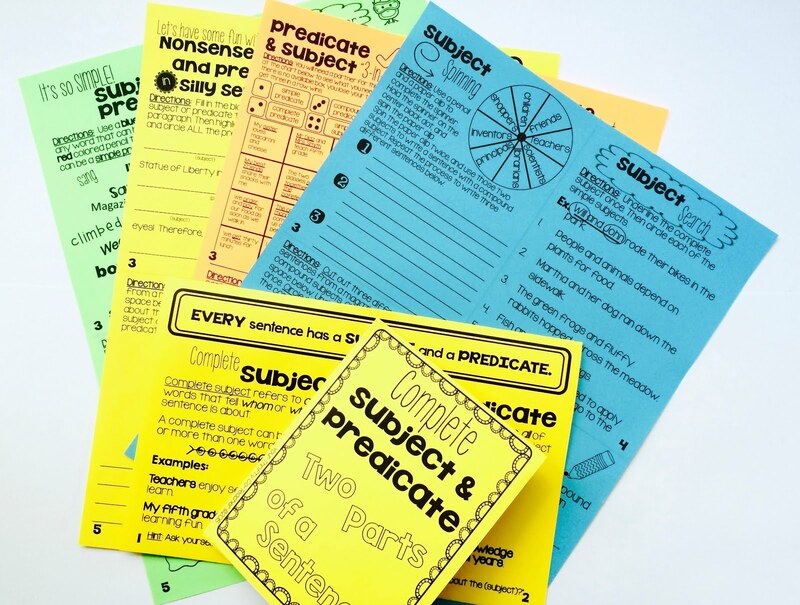 Then, I will give my students the resource they will be working with, which will probably be task cards or index cards that have the question on one side and the answer on the other. The pair of students will BOTH need to answer each of the questions provided to them. Player 1 will then turn the card over and check the answer. If Player 1 got the answer correct, he or she will take their turn on the board by placing an X or O in the spot they choose. If they get the answer wrong, they lose their turn to mark the board. If their opponent, player 2, got the answer correct, they get to steal the turn and mark the board with an X or O on the board. It is now player 2's turn to go first on the next question. The game continues until one of the players gets three in a row. They then tally their win on the score board. 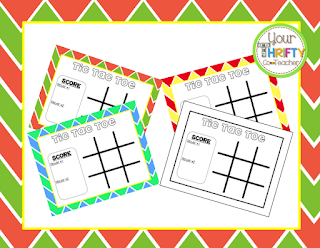 I plan to print a set of Tic Tac Toe mats, laminate them, and have students use their dry erase markers to mark their answers. As you can imagine, this game could be used to review math concepts, content vocabulary, reading concepts, as well as many others. 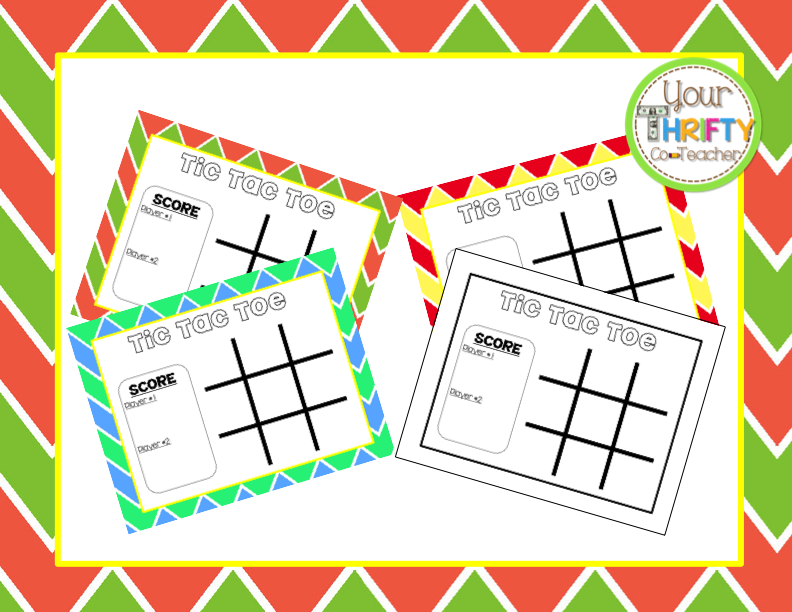 This Tic Tac Toe resource come in four styles and is available for FREE HERE. Hopefully this give you some new ways to engage your students in the classroom by incorporating games. 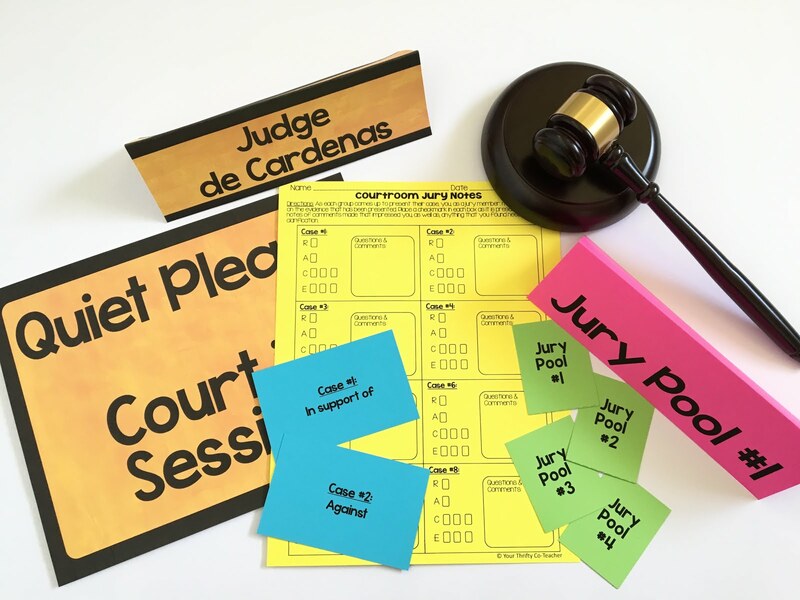 Now, if you use any games with your students, or have any other ideas on how to incorporate other games in the classroom, I would SO LOVE if you would share them with me in the comments below. Thanks for stopping by. Happy teaching!